Where fun, hard work and friendship come together! Check out Dane County's largest dedicated Cheerleading facility! Fury Athletics of Madison offers tumbling classes, exhibition cheer teams, non travel cheer teams, travel competitive teams and much more. We pride ourselves in maintaining a family environment and teaching our athletes lessons that will carry them into their adult lives. Teams will be forming soon! Contact us for more information! 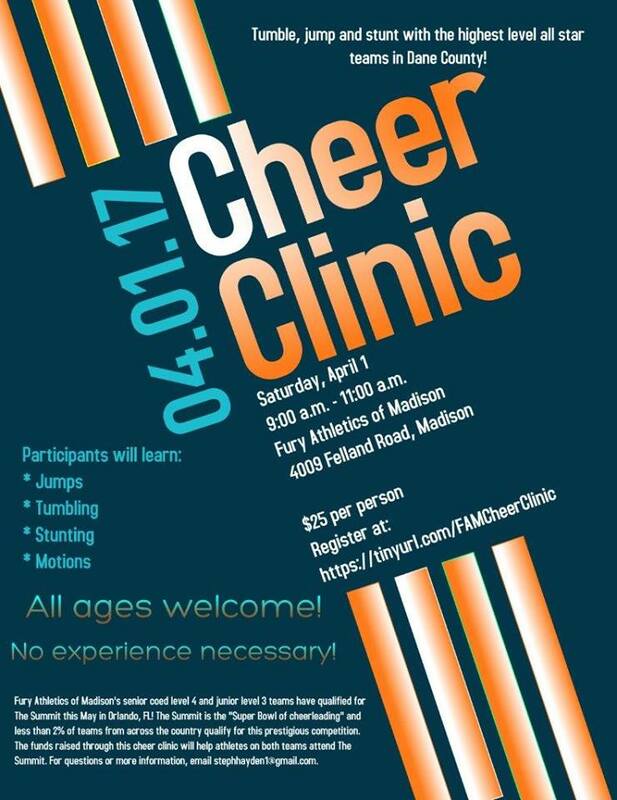 Sign up for our Cheer Clinic to help raise funds for our teams attending the 2017 Summit!